The hand that reaches makes the dark become light. Humanity for every man to reach it makes dark seem so very bright. 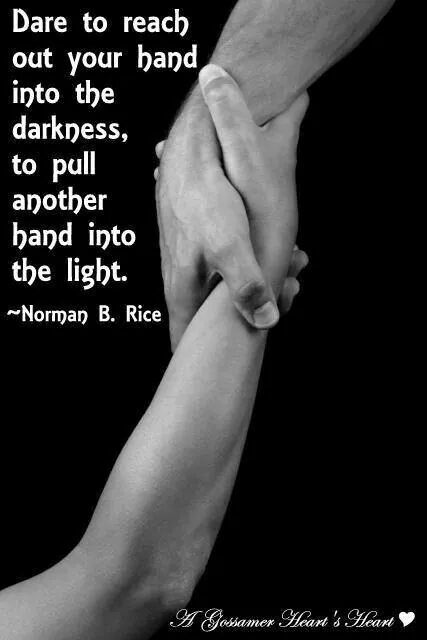 Brighten the darkness by reaching out with the hand and ever giving the hands of helping others.. The very best man has to offer the very spirit of giving. Humanity it’s the spirit in every man the gift of life the spirit of the Helping Hands forever thankful.. The bounty worth every giving by the feelings of rewards and warmth in every man..
Free spirit a Soul of a man who reaches to help others the warmth and the feeling of happiness the joy by the occasion to bring in the dark and cast the light & brighten everyday . Ever so the more bountiful light, the spirit of giving & humanity of having enough, bountiful by the knowledge giving by peace with joy of every Soul joyous do the every occasion Bountiful of love kindness and sheer delight of humanity..